Magnificent Solana Beach town home with beautiful views from dramatic 2-story floor to ceiling windows. This home was extensively remodeled and features a chef's kitchen and modern style bathrooms. The 1st floor great room features a cozy fire place and beautiful pendant light fixtures. The master suite offers vaulted ceilings, walk-in closet and private patio. The inviting backyard has more magnificent views! Close to Lomas Santa Fe Golf course, minutes to the beach and shopping. 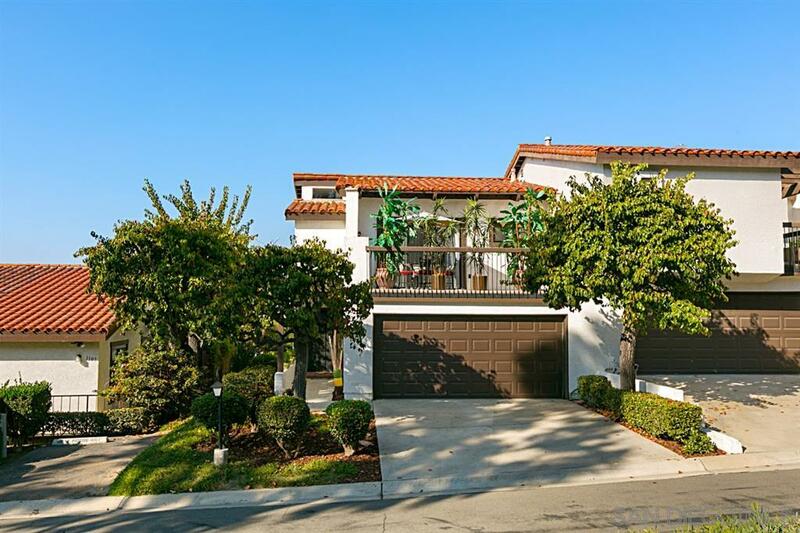 A MUST SEE!, Magnificent Solana Beach town home with views that are enjoyed from dramatic 2-story floor to ceiling windows in all the main level living areas. The living room/great room offers a cozy fireplace with open floor plan to the dining area and gourmet kitchen with inviting breakfast bar. This fantastic home was recently remodeled and features upgrades that include a chef's kitchen offering Quartz counter tops, stainless steel appliances, glass tile back splash, pass-through breakfast bar and lighted wine area. The bathrooms offer Quartz counter tops, designer vessel sinks, new faucets and fixtures and the master shower was remodeled in a modern style with contemporary tile and designer accents. The 1st floor great room features rich dark wood laminate flooring, designer paint and beautiful pendant light fixtures that adorn the 2-story high ceilings. The master suite offers vaulted ceilings, access to an extra-large private patio, and spacious walk-in closet. The second bedroom also offers vaulted ceilings, beautiful views and private balcony. The backyard has more magnificent views to enjoy while having a BBQ and a glass of wine. The attached 2-car garage is spacious and the home offers AC. Excellent location with all that Solana Beach has to offer with a short walk to Lomas Santa Fe Golf course, just minutes to the beach and shopping. If you're looking for a spectacular home close to the beach and beautifully turn-key in a modern style under a million, you've just found it!